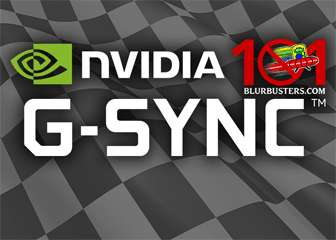 A high speed video of LightBoost on an Asus VG278H has now been created, including 480fps and 1000fps captures. It clearly shows that strobing can bypass pixel persistence on an LCD. 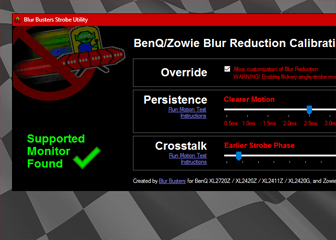 This allows for CRT-style motion of zero motion blur. LightBoost is also compared to non-LightBoost operation. 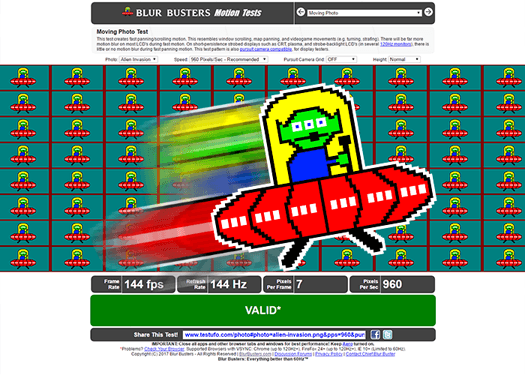 Mark Rejhon, the founder of Blur Busters. Do any of these monitors support LightBoost at 60 Hz? I play a lot of old games on MAME and other emulators and ~60 Hz tends to be the norm. 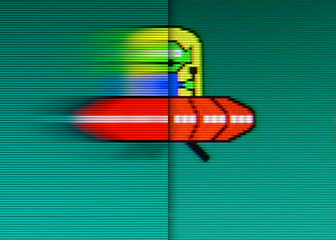 These old games could really benefit from the clarity that LightBoost gives you since most of them are constantly scrolling vertically or horizontally. Also, if the monitors don’t support LightBoost at 60 Hz is there ANY advantage to running a 60 Hz game @ 120 Hz with LightBoost enabled? 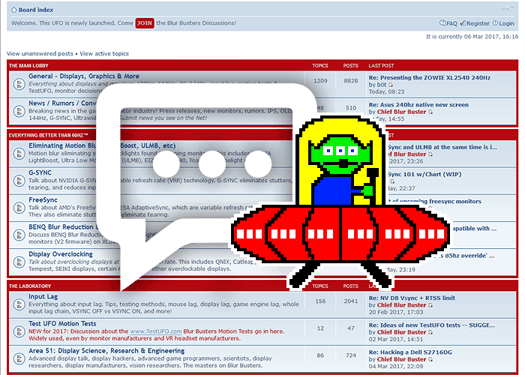 Have you tested this with any old platforming or shmup games or only with modern FPS games? 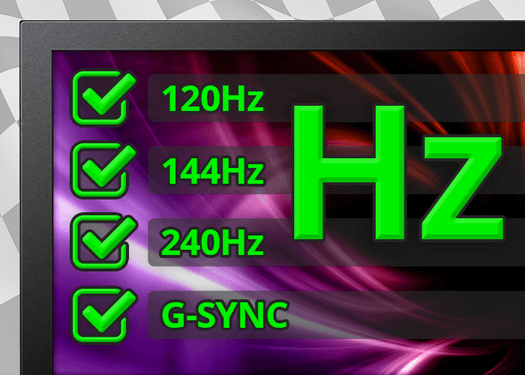 No LightBoost monitors support LightBoost at 60Hz but there’s some GOOD news! You can simulate 60Hz LightBoost via software based black frame insertion. 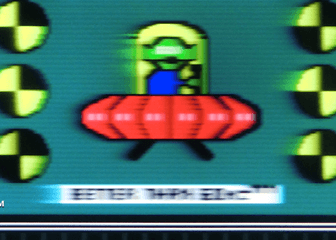 There’s a specially modified MAME build at http://www.blurbusters.com/mame/ that gives you the 60 Hz CRT effect during 120 Hz mode via software-based black frame insertion.